I’ve not wrote an article for some time and in all honesty I don’t really know where to begin. I do however feel that writing this might just give me a sense of where my head is at and some clarity on the position we find ourself right now. The club is something that I have always loved and will be a part of me all my life. The current state of affairs is something that saddens me deeply. I fully understand that David Moyes was appointed by the club with only one objective and that is preserving our premier league status. As it stands he is achieving what is required of him but the threat of relegation is very much a possibility and anyone that thinks otherwise is seriously deluded. I feel that although Moyes has had some good results and some decent performances, his tactics are questionable at times and mostly negative. We appear to set up with the same formation and game plan against most opponents. As we know not all sides play the same and we as a team don’t seem to have all the answers required of us to prevent the problems these teams cause us. His reluctance to call upon the bench is also a problem in my opinion. Is it because he has no faith in the players he has left out of the starting 11? Could it be that he fears losing what we may have in tight games? Only the man himself can answer this but I feel he doesn’t have the ability to make a decision that can change a game and give us the edge to get something from it. The players are by no means escaping criticism for me. Many of which have under performed for far too long now, not just this season but beyond. Our goalkeepers don’t seem to be able to consistently perform well enough for more than a couple of months at a time and that’s at a push too. I don’t see any of our defenders willing to carry the ball beyond 10 yards of where they have received it. No one seems to want to play the ball out, it’s almost as if the fear of misplacing a pass is too great or the lack of confidence to play a pass shorter than 30 yards forward is infectious. Sideways is not a problem as it’s a way of passing on the responsibility. The lack of personnel available doesn’t help matters. Competition for places in midfield are pretty much nonexistent. This for me has led to complacency amongst certain players and they are literally going through the motions with no fear of losing their place in the line up. You really do have to question the commitment and desire of a lot of the current squad. I just don’t understand how Hernandez doesn’t get a place in our team. He is easily the most natural and best finisher in our ranks. Ok his work rate off the ball isn’t the greatest but has this hindered him previously in his career elsewhere, certainly not. Get the ball to this lad in the box and he will score goals, simple as that really. He has proved this with his run of starts and goals in the side with our recent injuries to forward players. Collectively as a unit the team has not delivered on what every fan was expecting this season. Can they justify the huge salaries they are collecting with the effort they are putting in on a match day, only a few can in my opinion. What we need right now are players that will roll up their sleeves and fight with everything they have for the shirt that they should feel honoured to be wearing. If they don’t have what it takes then the manager needs to be strong enough to leave them out of the side. The troubles and problems we have as a club off the pitch right now are the worst that I can remember. There will be some that maybe able to recall worse but i can only give my opinion. It has been poisonous and toxic for a large part of the season. For me the first rumbles were heard at Watford away back in November and it has grown at quite a rapid rate since then. I’m not by any means suggesting that the discontent wasn’t there before this game but it was the most vocal I had heard up to that point. The unrest before this fixture was more towards our former manager Slaven Bilic rather than being vented in the direction of the board. Now all eyes are firmly on that if the owners. I like many others was neither pro or against the board until 1st February 2018 and my thoughts and opinions changed dramatically. The serious lack of investment has a lot to do with the way we are performing on the pitch. I believe the overall spend since moving to the London stadium is around the £30m mark which is neither enough nor is it what we as fans were told prior to the move. I don’t know about you but I fully excepted to be spending far more than that and progressing as a club. I’m not alone in thinking that we have gone backwards since leaving Upton Park. The lack of investment and move away from the Boleyn is 100% the main cause of most fans anger towards those at the helm of the club. With the way the relationship is now between the support and the board I just can’t see a resolve, it’s beyond repair from the scenes that were witnessed at the game yesterday. They could go out and spend £200m on world beaters in the summer and I don’t think it would make an ounce of difference such is the anger towards them from large portions of the fanbase. I personally can’t see them selling the club any time soon. I mean realistically what is there to sell? What do they actually own apart from training grounds and players. Who in their right mind would want to buy a club with very few assets. For those that have said they wouldn’t mind relegation to get the owners out, I fail to see how this could work. If we go down the club would obviously be worth considerably less than it currently is now and do you think that Gold and Sullivan would sell for next to no profit if any at all. I just don’t see it happening. Survival is paramount for me. I believe if we are to have any chance of this then us as fans of our great club need to support the players for 90 minutes of each game and give them the best chance and no excuses to hide behind. As it stands it in our hands and we need to keep it that way. Southampton is a huge game and they like us are struggling and fighting for their premier league status, lets back the boys 100% and get the result we need. Relegation could lead to us becoming the next Leeds, Blackburn or Charlton. I for one certainly don’t want this. I totally agree – the scenes yesterday were shameful, not in what the fans want (I totally agree with their point that we have been constantly lied to and that the board are destroying our club) but with how they’ve gone about it. 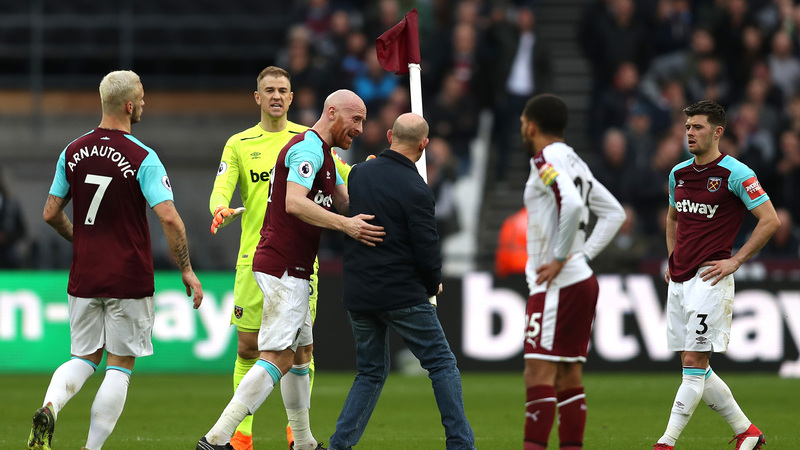 We really needed any points we could from the game yesterday and maybe, had the commotion not have happened, we could have pulled it back to gain at least a point – we’ve done it before! The guys on the pitch are not the board and need our support. If people want to protest, I believe that staying away will have the biggest impact – hit them where it hurts most…their bank balances! My two children were petrified yesterday and I’m not sure they’ll ever want to go back! How many other fans of the future felt the same?